Preface: When I was writing my poem "Small Talk" for Pinsky's Workshop on Jan. 31, 2007, I began writing a list poem quoting the juiciest titles from 11 women's magazines. The list poem is a poetic form used by Mark Strand in his "Giving Myself Up" (1970) on his body parts. While searching for this poem in Mark Strand's books in the Stanford stacks, I came across his most recent book Man and Camel. While flipping through the pages, I noticed two poems titled "Moon" and "Black Sea". These were the images that came to me on Jan. 10, 2007 at 1:30 am while waiting for Bus #22 that didn't show up for an hour at the Palo Alto Train Depot. I wrote my haiku that frozen night: "No stars in the sky / Half-moon tilting like a ship / sailing the Black Sea" Then browsing through the Jan. 9 issue of Stanford Daily, I noticed Robert Pinsky's "The Occasions of Poetry" class on Wednesday from 3:15 pm to 6:05 pm. I was so excited that Pinsky is teaching at Stanford that I went to his class Wednesday, not realizing it was a small workshop. Pinsky's first words to the class were lines from Yeats' "Sailing to Byzantium": "There is no singing school, but study monuments for their magnificence." When I learned that Byzantium-Constantinople-Istanbul is on the Black Sea, it dawned upon me that the Half-Moon was speaking to me that night to sail to Byzantium. Later, I found a book Window on the Black Sea in the Stanford stacks with Pinsky translating the poems of Boris Christov. Somehow I feel that the Moon and the Black Sea are still speaking to me, and am composing this web page featuring these poems of Mark Strand. In the PBS Interview (April 15, 1999), Elizabeth Farnsworth asked "What do you look for when you read a poem?" 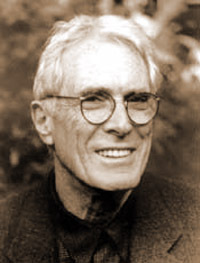 Mark Strand repied, "I look for astonishment. I look to be moved, to have my view of the world in which I live somewhat changed, enlarged. I want both to belong more strongly to it or more emphatically to it, and yet, to be able to see it, to have well, it's almost a paradox to say this a more compassionate distance." I continue to be astonished and moved in Robert Pinsky's workshops, learning much from his insights on the wonderful world of poetry.  Mark Strand, "Black Sea"